My Blog writing has suffered lately and I apologize to any of my lurkers that have checked in on me and have been disappointed. I blame it at least partially of how fast the grass is growing. The only good thing about all the mowing I’ve been doing is that I have actually lost a few pounds! I purchased an Amazon Echo (Alexa) for my wife for her Birthday last year. Becky has a iPhone and constantly laments about how poorly Siri performs in comparison to Google on my Droid. While the voice activation isn’t perfect on the phone, it’s pretty good. 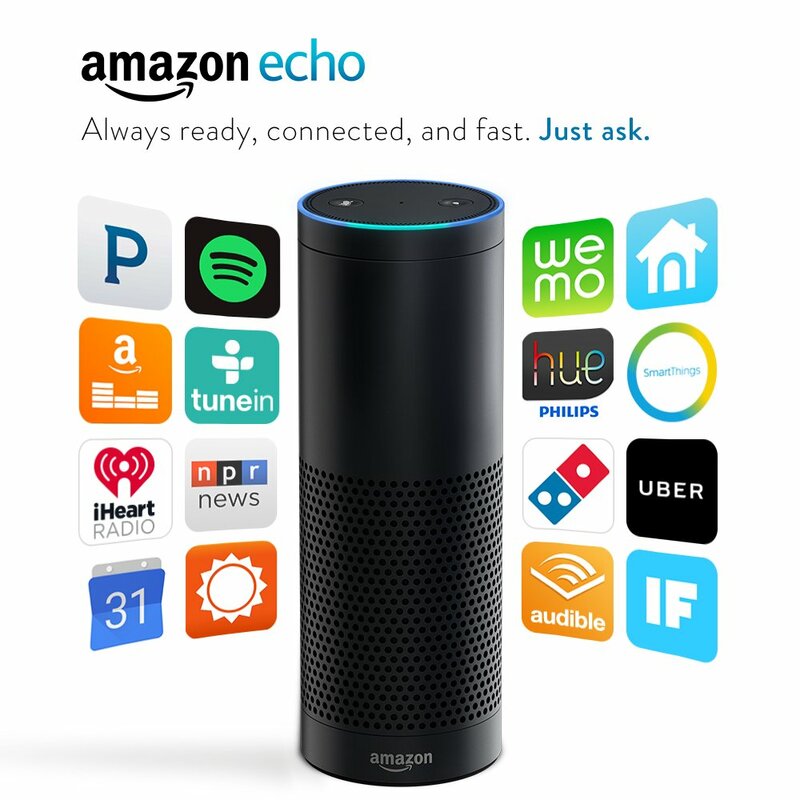 The Amazon Echo takes this to the next step and relies on voice activation completely. Overall, we’ve been pleased with the ease in set up, its ability to search from verbal commands and its ability to provide verbal responses. Probably most of all we’ve been impressed with its ability to pick out our voices from amongst background noise as well as the quality of the sound it achieves from the single point speaker system. At first Becky was carrying it back and forth to Berger Audiology. She was using it for background noise when working with clients testing new hearing aids. But once the novelty wore off, it became a bit of a hassle to do that it and it has taken up permanent residence in our home, generally in the kitchen, though occasionally it does get moved around for music in other places. While the Echo is continuing to add “skills“, they are somewhat limited to the services with which Amazon makes agreements. You can’t teach it something on your own, at least not that I’ve found. For example, while the Echo will stream music from several of the services such as Pandora, Tunein and IHeart Radio, we cannot listen to our Sirius Radio subscription through the Echo. That would seem to be a no-brainer, since Sirius allows streaming on your computer or cell phone, but currently that’s not an option. Some of the new abilities such as tying into some of the available smart thermostats and other smart home devices are quite intriguing. All in all, I would recommend the Echo. You need a smart phone to set it up. You need wi-fi access to operate it. It took about 10 minutes after that to have it going.